Hi all, I hope you had a merry Christmas! Just three months ago, I was announcing my first nomination for a Liebster Award and here I am again, announcing another award nomination. 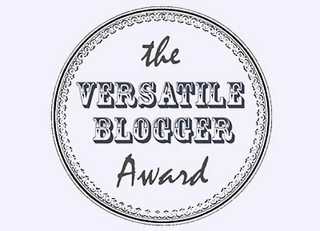 This time it’s for the Versatile Blogger Award (VBA). Thank you Mike Senczyszak from Solsbury Hill for nominating me, it was a pleasant surprise! I’ve known Mike for a few weeks from Google+ communities. He’s a writer and blogger with a particular writing style, whose posts will make you think and smile. I remember his first post that had caught my attention was about the Blogging Survivalist Award, which he created and then nominated himself for it. Even in his VBA post is an amusing read which makes him worthy of this award, so do check him out. You can see the official VBA rules here but they’re very simple: thank the person who nominated you, write 7 random facts about yourself and nominate other bloggers. Let’s move on to the seven facts about me. Boy, I thought it was going to be so hard to come up with seven one-liner facts, but then I came up with them and I couldn’t stop rambling! 1. I only travelled abroad for the first time two years ago. My first trip abroad happened right around this time two years ago, when I was 27! Matt wanted us to have a short break and to travel together for the first time. Our choice was Rome (read about the literary part of that trip) and it was a lovely experience. After that, I visited Sweden twice. So I owe my travel initiation to Matt, even though I can’t say I got the travel bug yet. 2. Music is not my life. I stopped listening to music regularly around a couple of years ago; I’m not even updated on the latest work from my favourite singers/bands. It’s a combination of laziness and lack of interest in current music trends, but it’s also because music distracts me from reading and blogging. Now I only listen to the same old music on repeat whenever I feel like it (seldom) or whatever Matt is playing. 3. My only acting experience was a male part and… in Mandarin Chinese! My ‘adventurous’ private tuition experience once took me to a summer course in Mandarin Chinese, which I really enjoyed. At the end of the semester, they organised a show and our teacher wanted our class to do a parody of Titanic. I landed the part of Jack Dawson and, of course, my lines were in Mandarin. It was daunting, but we had the audience in stitches (hopefully because of the parody and not because we made a mess with the tones). 4. I am a Formula 1 fan (though not as die-hard as I used to be). Something which I’ve rarely mentioned here is that I’m a Formula 1 fan (see my review of Rush). I started watching it with Dad back in 1999 and in a couple of years, I was hooked. Since I started following it during Michael Schumacher’s winning days, I remained a Ferrari fan, even though they’re not doing good these days. At least, I’m more open-minded and support other drivers and teams… I just hope the sport can become as exciting as it used to be. 5. I’ve acquired a taste for salmon while in Scandinavia. I never liked fish; I can’t even stand the smell of it (that’s ironic since I live on an island). But on my first trip to the North, precisely during my short visit to Copenhagen, I had a salad with a salmon fillet and smoked salmon and I loved it (I prefer it smoked though). Our hosts in Sweden also made a fish-based dinner for us and I couldn’t be rude and refuse, yet it turned out to be tasty. Thanks to that meal I also became a big fan of shrimps. But that’s where my fish-eating stops! 6. I had a prolific blogging life before Scrabbled Rambles. Before SR, I had several blogs which were mostly personal diaries with just a handful of readers. These were spread on Blogger, LiveJournal and Xanga (I just googled it, is it still a thing?). I also had one about Formula 1, as well as a short-lived blog where I collected weird news from around the world. The only pre-SR blog that still exists has reviews of Asia-themed books and I’d love to revive it when I have time. 7. I’m a big fan of one of the worst movies ever made. It’s called The Room and it’s known as the “Citizen Kane of bad movies”. The story, the direction, the production, the acting… everything is bad and mainly it’s because of Tommy Wiseau, the writer/producer/director/main actor. It’s so bad that it’s fun to watch and there’s even a cult around it. I watched it 3-4 times, I read the book behind the scenes and now I’m eagerly waiting for the James Franco/Seth Rogen movie based on the book. Watch the trailer and you’ll know what I’m talking about. Now here are my nominations! Myna from Myna Kaltschnee – When I think about “versatile”, I immediately think of her. She blogs in two languages and she’s a multi-genre author. Most of all, she’s my best friend since over 4 years! 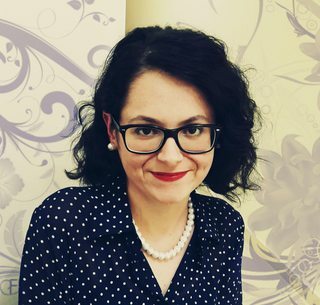 Ugnė from My Passion is Happiness – She’s my go-to for media posts as she writes about books, movies and tv-shows, among other topics. I also love her graphics and you can immediately see that she’s passionate about what she writes. Anna from Missing the Bus – She’s a new blogger and I’ve only known her for a couple of weeks from a Facebook group, but I love her writing style and point of view. She blogs in two languages as well, writing on a variety of topics such as education and career. I hope you liked reading the facts. Until I return to regular blogging (a reminder that I’m on a semi-hiatus due to studies), I wish you a great start to 2017! 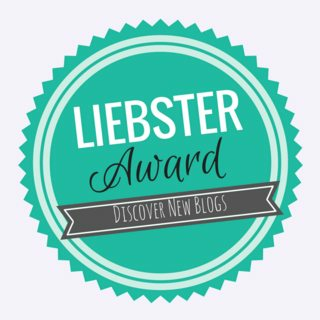 Were you ever nominated for the Versatile Blogger Award? Let me know in the comments or drop me a mail! Thank you so much for nominating me, dear. I feel honored 🙂 Your facts were really interesting and I had no idea that you did a course in Mandarin Chinese! 😀 You’re always good for a surprise, aren’t you? 😉 When it comes to travelling, I hope that you will visit Germany sometime soon. It would be so awesome to meet you and Matt finally in person. Of course, I still hope to be able to travel to Malta in the coming years. PS: Can’t believe that we know each other for already 4 years. Time flies, huh? I remember that we met around the time when my grandma died and our friendship helped me to go through this tough times. I also hope we can visit you in Germany and that you can come to Malta. 🙂 It would be so nice and fun. You’re welcome! 🙂 I know I posted this during the Christmas period and left you a comment on your blog, I wasn’t expecting a quick reply because I know everyone is busy in this period. But I’m glad you appreciated it!